Today I have Beauty Big Bang's XL-017 plate to show you. Which is an awesome geometric-themed plate. The plate has 14 large, full nail sized designs. I love the variety of designs on this plate. 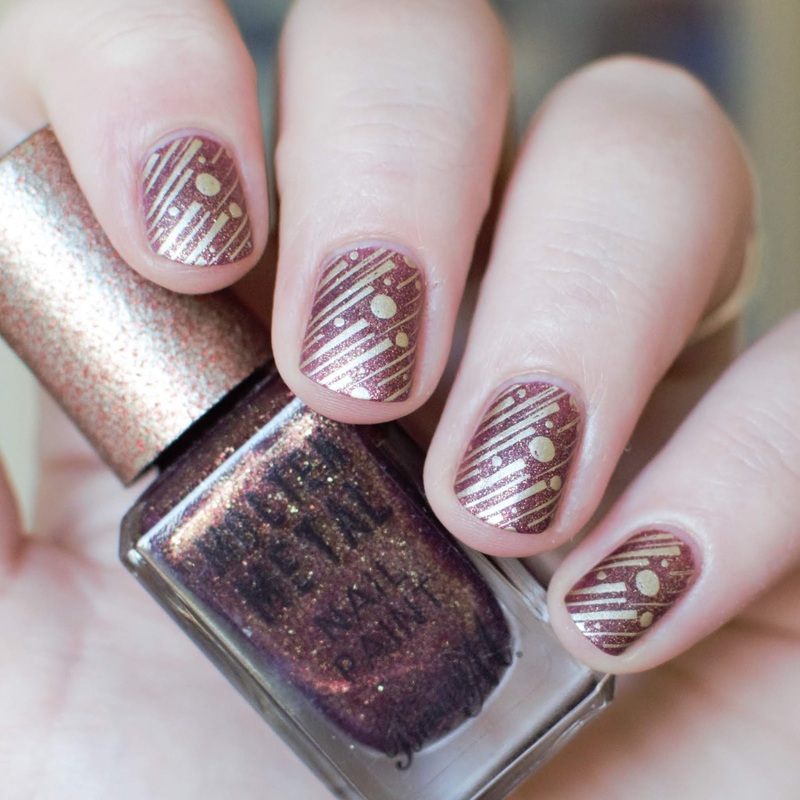 I am a big fan of geometric patterns on my nails and this plate is great for that. 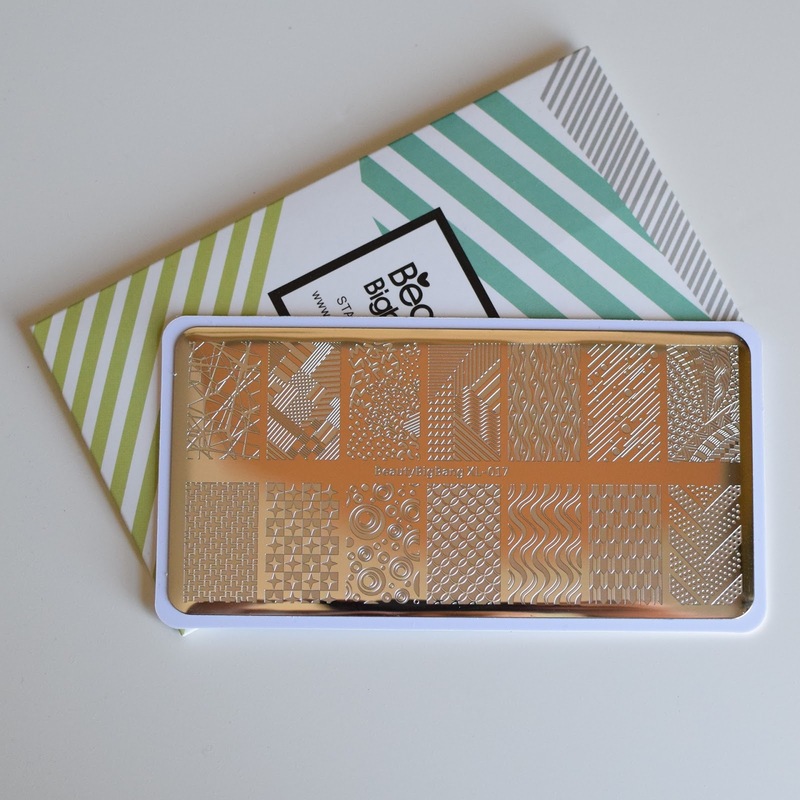 A lot of these designs don't necessarily lean towards reverse stamping, but I think most of them would look awesome done as a gradient, but I prefer these designs a simple one colour stamped over another. 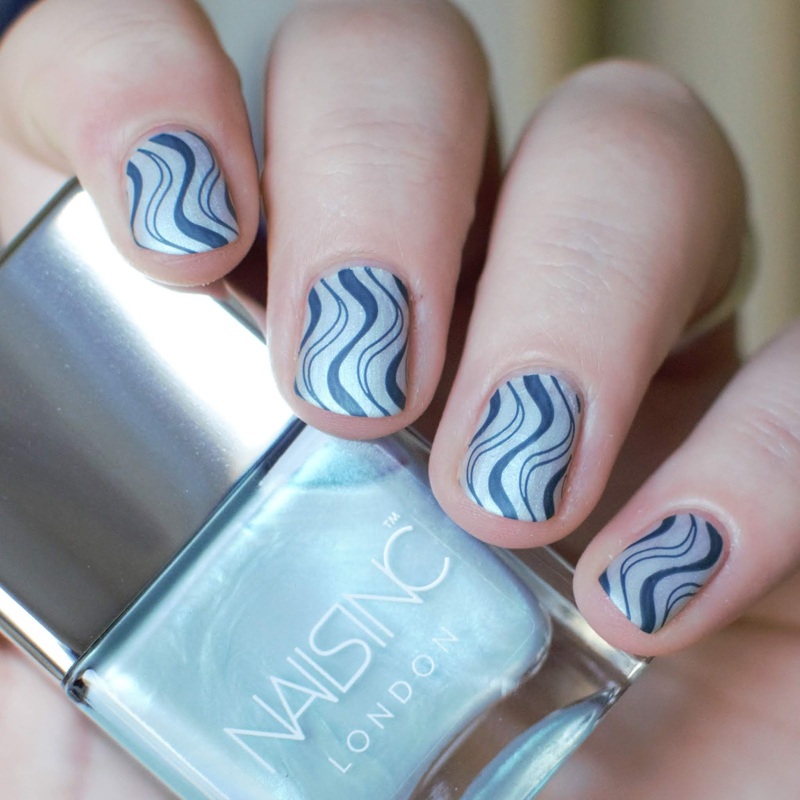 If you're a fan of geometric nails then you should definitely consider looking at this plate.